Cocoa Criminal Lawyers and Attorneys - Templeton Law P.A. Although it’s just a piece of paper, being on the receiving end of a criminal citation can turn your world upside down. No matter what crime you’re accused of, you have legal protections under Florida law and the U.S. Constitution. At Templeton Law, we believe in defending your rights to the fullest extent under Florida law, the Constitution, and the Bill of Rights. Charged with a crime? Call us, the leading Cocoa criminal defense law firm. What criminal charges can we defend? At Templeton Law, our dedicated team of Cocoa criminal defense lawyers has successfully defended dozens of clients against crimes ranging from simple misdemeanors to punishable by life felonies. We’ve helped our clients get their charges lowered, dropped, or outright dismissed. The criminal justice system in Florida is incredibly harsh on people accused of crimes. If you’re charged with a crime, it’s crucial that you take immediate action and contact an experienced Cocoa criminal lawyer immediately. Having a knowledgeable attorney get involved early on in your case will significantly increase the chances of having your charges reduced or dismissed. For people accused of crimes, they only have a limited window of opportunity to turn the tides in their favor. If you get us involved early on your behalf before any formal charges are brought against you, it’s possible for you to avoid the criminal justice system entirely. At Templeton Law, we believe in aggressively defending our client's Constitutional rights. When we take on a case, we conduct a full, thorough review and evaluation of every single aspect of evidence that led to your arrest. Our exhaustive investigation will look into witness statements, police reports, and lab evidence if applicable. We will thoroughly examine all of the procedures that were used in building and acquiring evidence against you. In our years of experience navigating the criminal justice system in Cocoa, we’ve found that, while most law enforcement officers are doing the right thing, they will sometimes overstep their legal boundaries and violate our client’s Constitutional rights and protections. If this has happened to you, you can be sure that we will find and review any inappropriate, unlawful actions that were taken against you. We will immediately challenge this evidence in court, and file motions to suppress illegally obtained evidence. A case without evidence is no case at all and may lead to a dismissal of your charges. When you contact Templeton Law, your experienced Cocoa criminal defense attorney will look at every single angle of your case to decide the best possible course of action. We are not at all afraid to go to court on your behalf. With our team of dedicated legal experts at your side, we will work to represent your best interests in front of the judge or a jury, and we’ll work tirelessly to defend your rights, your finances, and most importantly, your freedom as a U.S. citizen. If you’ve been charged with a crime, don’t hesitate to contact one of our accomplished and skilled Cocoa criminal attorneys today. A criminal record can destroy your life. All consultations are free of charge and 100% confidential. 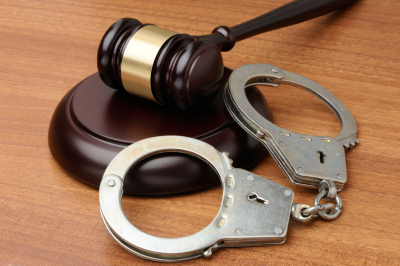 Contact Templeton Law today to protect yourself from a devastating criminal charge.